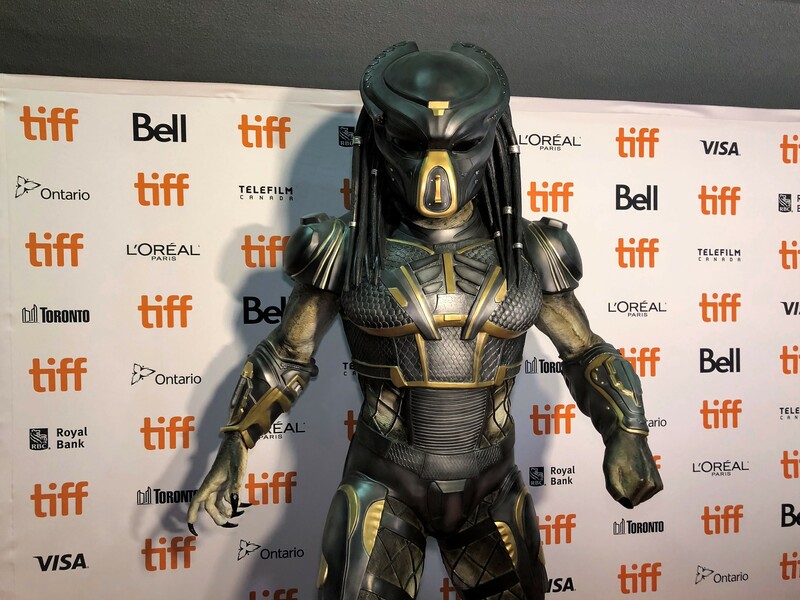 Thursday, September 6th of 2018 saw the world premiere of Shane Black’s new instalment in the predator franchise: The Predator. Accepting an invite that 20th Century Fox was kind enough to send our way, I decided to spend a few days in Toronto to attend the event and see the city. After obtaining my ticket from Fox earlier that day, I walked over to the theater, which was only a couple blocks from my hotel. 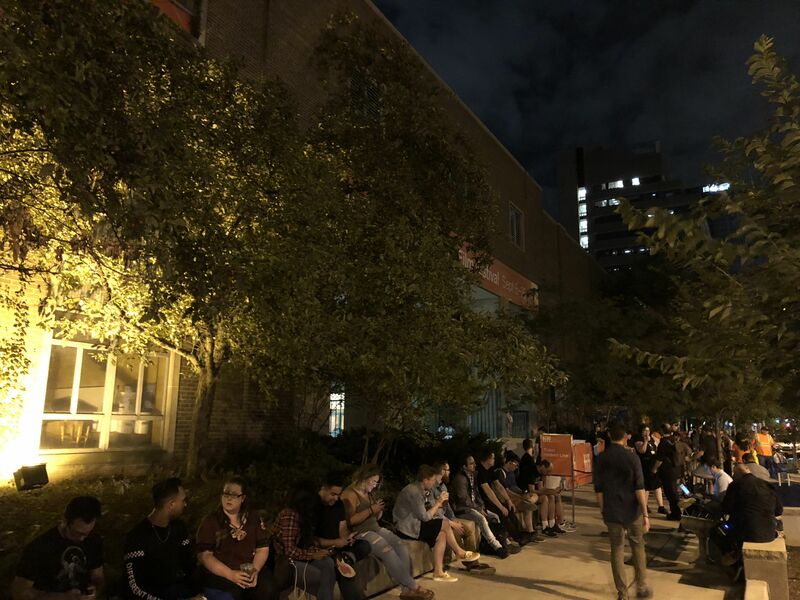 The venue was Ryerson Theater, part of Ryerson University which is one of the larger secondary education campuses in downtown Toronto. As I approached the theater, fans and moviegoers were already lining up outside. 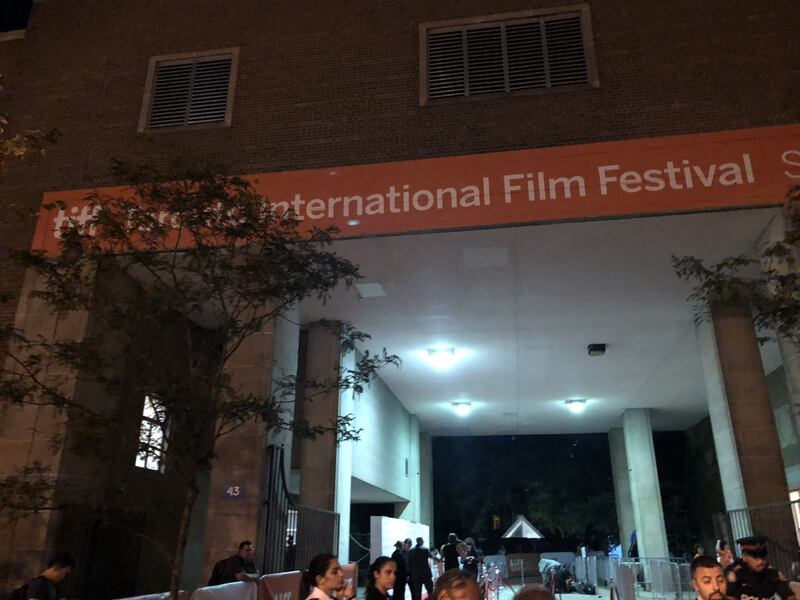 Though this was a world premiere, it was part of a film festival, specifically the Toronto International Film Festival (known as TIFF for short), meaning that public tickets for the showing were available. 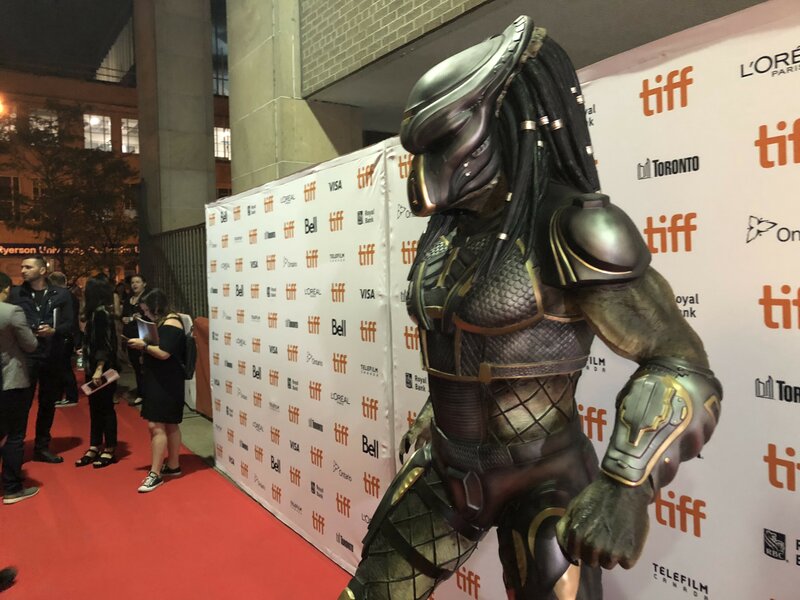 This premiere kicked off the TIFF “Midnight Madness” Program, typically horror and thriller type films for audiences who are not averse to staying up late. 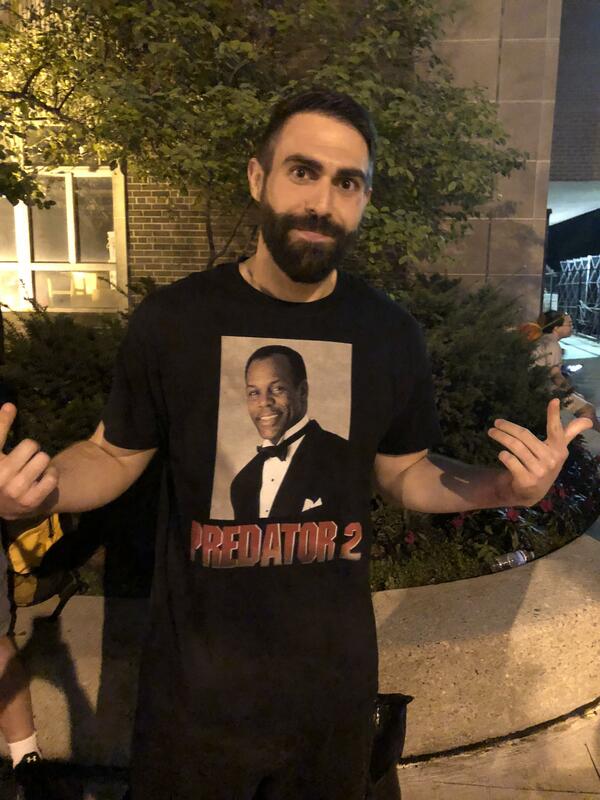 At the front of the line was a fan sporting a highly amusing Predator 2 shirt. We enjoyed some casual conversation. He told me that he follows AvPGalaxy, though isn’t active on our forum. I snagged his picture just as our Fox contact arrived to get me onto the red carpet. The Fox representative was very friendly and helpful in getting me situated in the scene. 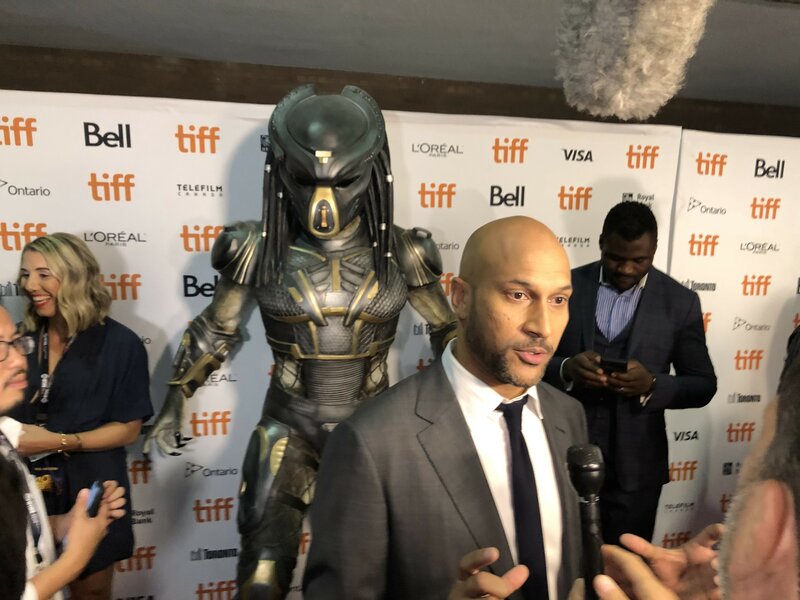 As I entered the carpet area, I gazed at the stand-up display statue of the “Fugitive Predator” right in the center. I had seen this piece of theater marketing before, but this was the first time I had the pleasure of witnessing it in person. I really love the new design of the fugitive, the sleek armor, dark metal with gold accents: a very modern take on what has come before. Just as I started wondering about how much more cramped this was going to get, the talent thankfully started to arrive. 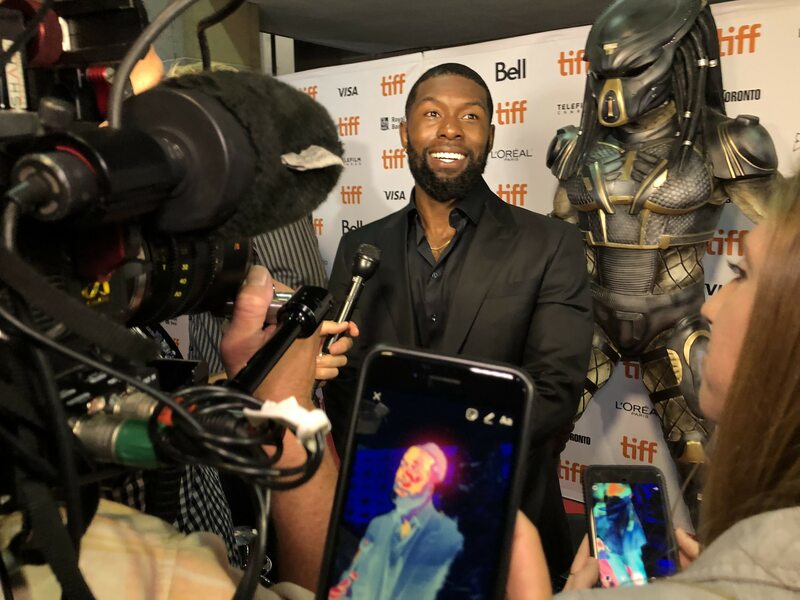 This particular press scene was a bit hectic, and I had to try my best to bring the stars over to me for some questions of our own. I was still glad to meet Boyd Holbrook, Jake Busey, and Fred Dekker. All of them were friendly and kind enough to answer a few questions for me. 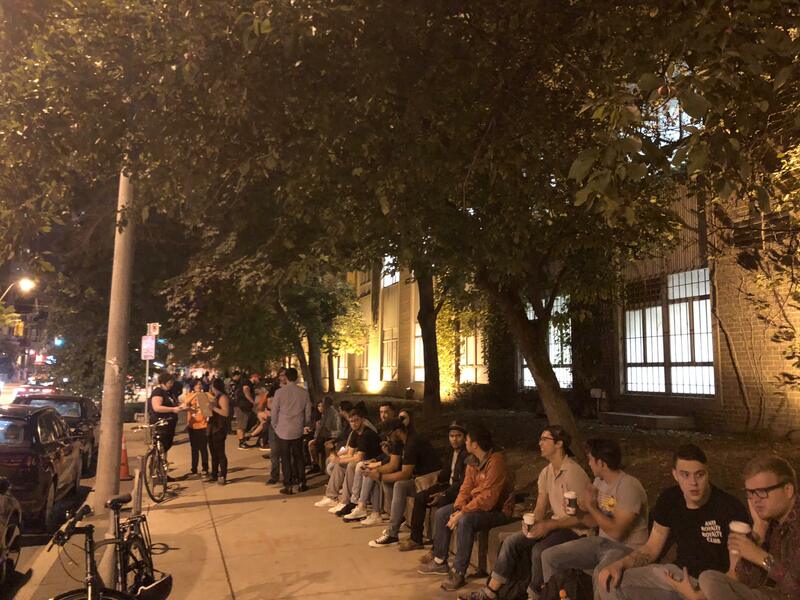 As the stars were hurried along to the theater, I could tell my previously prepared longer questions on my tucked away iPad would have to be scrapped. 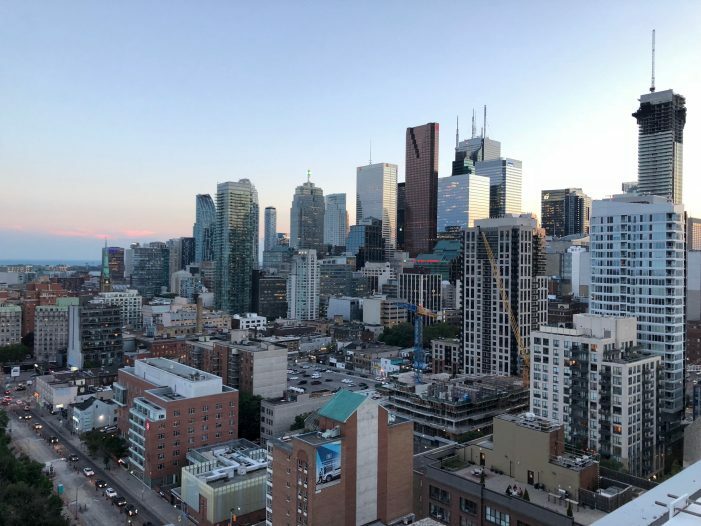 A one-man camera crew was certainly not ideal for rapid fire interviews, something we’ll consider with future opportunities of this nature should they be found. 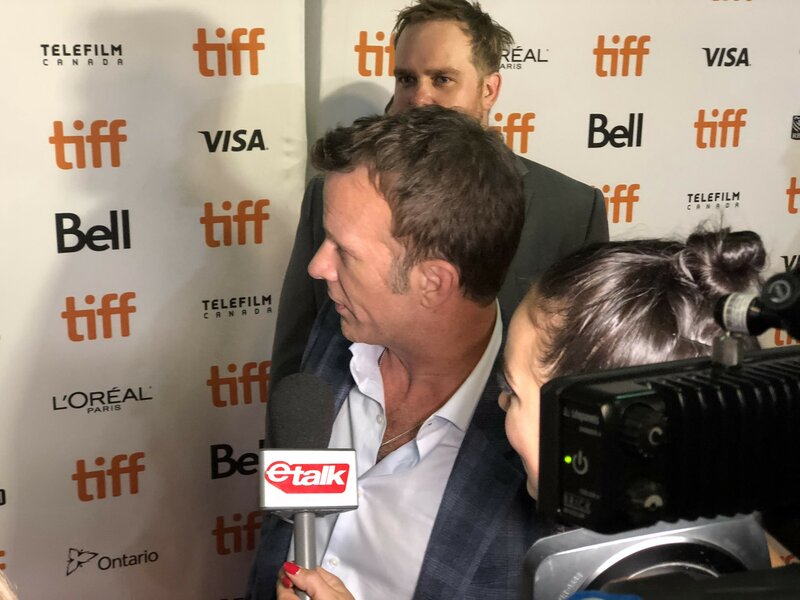 I overheard my flanking journalist crews talking about how neither Shane Black nor Olivia Munn were expected to come in light of the recent casting controversy, news of which broke the very day of the premiere. 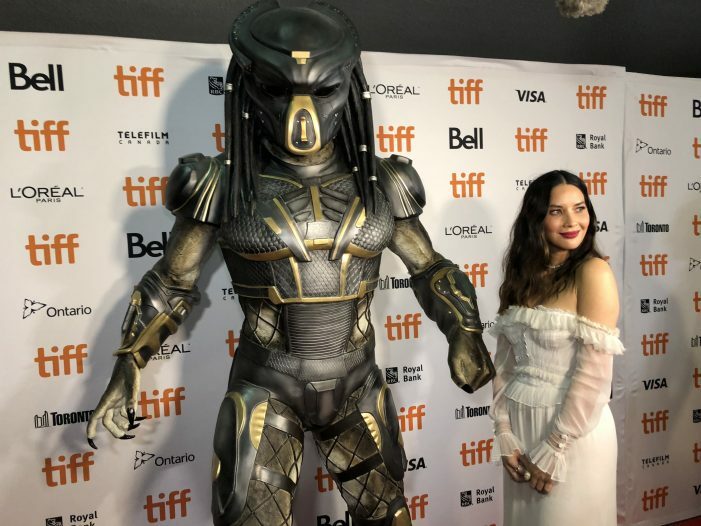 Just as press started to clear out and make their way towards the theater entrance, they were drawn back as Olivia Munn made her uncertain grand entrance. “Get those cameras rolling boys!” I heard from one of the interviewers next to me. Olivia first signed pictures held out to her by fans behind the carpet barriers, then made her way to pose for pictures in front of the Predator stand-up display. Though Press yelled out questions to her regarding the controversy, she only answered one in passing and I couldn’t really hear what she said. 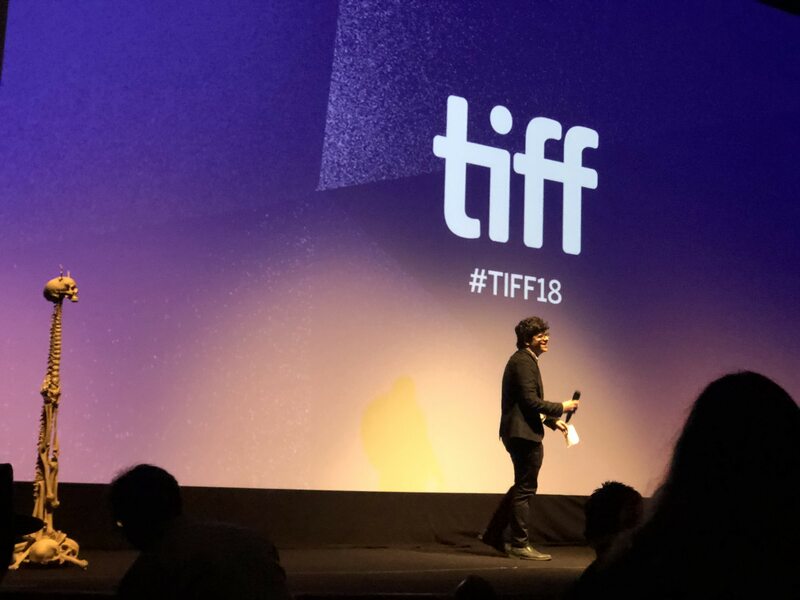 It was already past the scheduled time for the film to begin at this point, and as she later explained on Twitter, she was told there was no time for interviews. After my own logistical frustrations from the carpet coupled with the dark cloud of the recent headlines hanging over it, I was ready to just sit down and watch this movie I have been anticipating for years now. The first public audience to see the film, it was a neat feeling being in a theater for a world premiere. 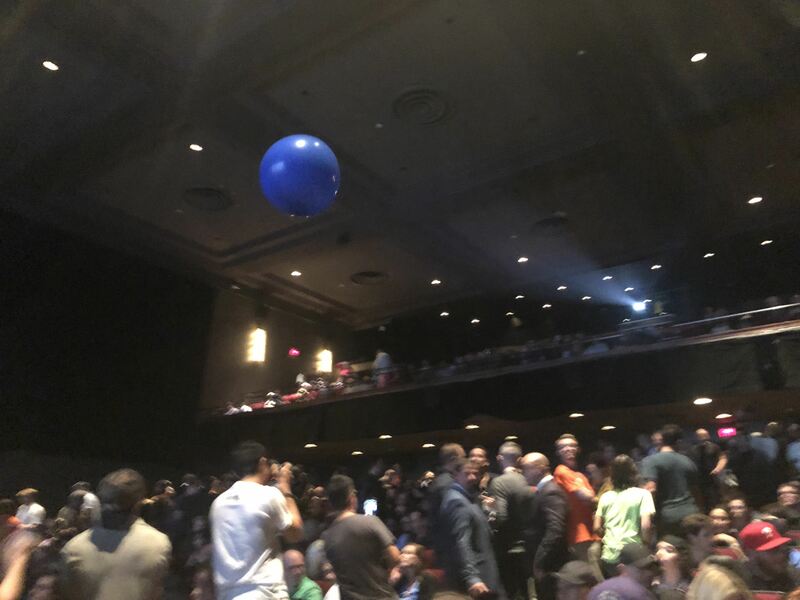 As I found my seat, the crowd passed the time by knocking around large bouncy balls into the air. While I was putting away my camera gear, I almost took a direct hit, but thankfully the person in the seat next to me deflected it. I thanked him for the rescue. 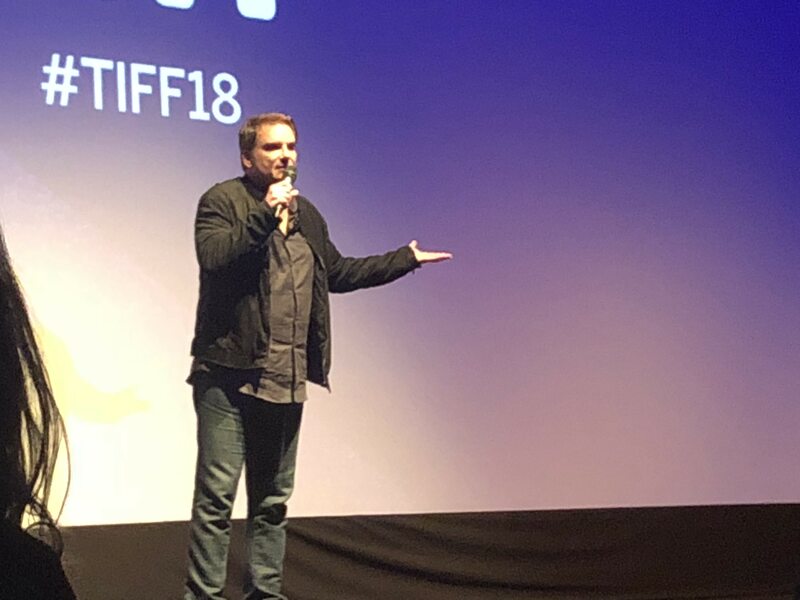 He then introduced Shane Black who came to the stage to speak before the film started. 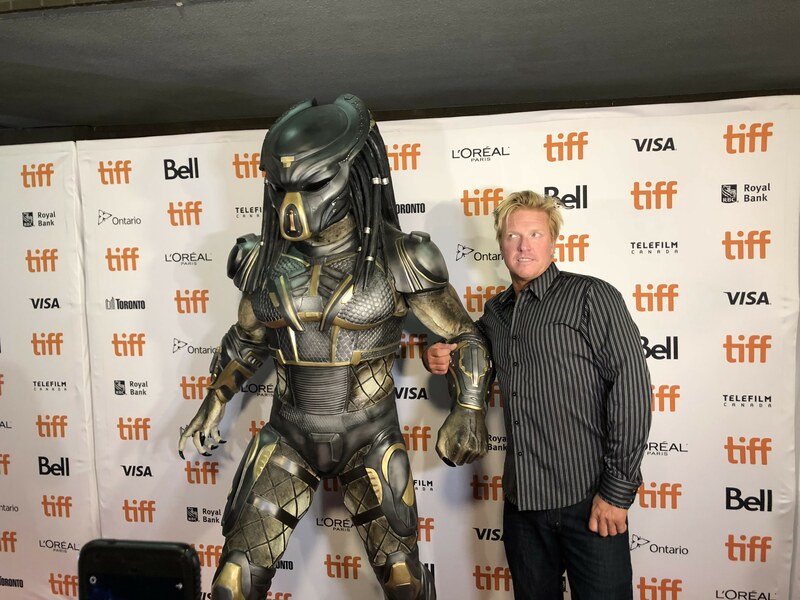 Then we watched The Predator. I’m not going to get into my thoughts on the movie much, I’ll be saving that for our next podcast and after I see the film again upon general release. 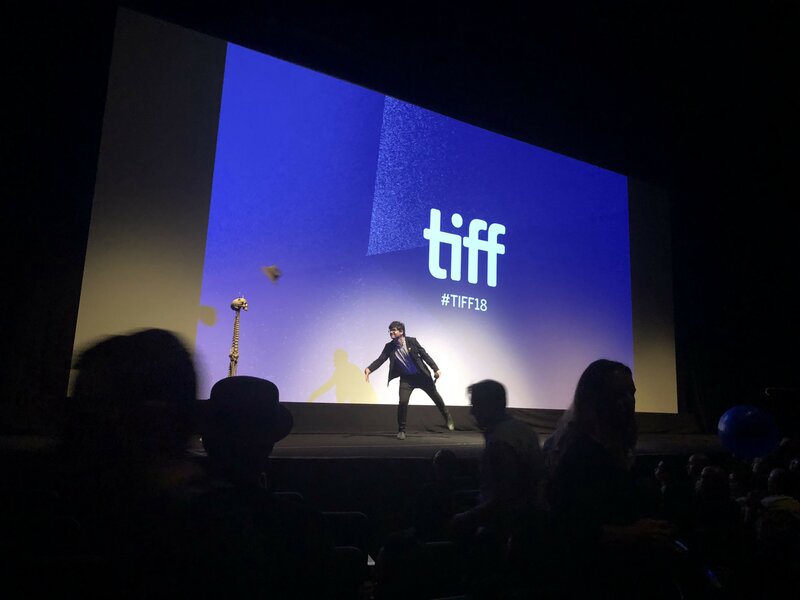 Along with the audience, I did find myself laughing a lot, and whatever flaws that were apparent for me, which there certainly were, I can’t deny that I had a fun ride. 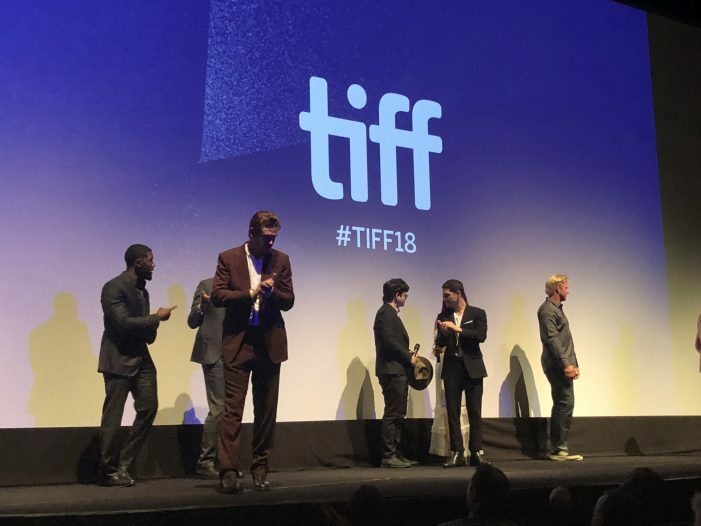 Once the credits rolled the cast was introduced to the stage for a Q&A session, a common practice for film-festival premieres. Shane Black also wasn’t present with the cast here. I couldn’t shake the feeling that this movie deserved a bit more fanfare for its premiere, which it seemed to receive once it had its LA premiere. 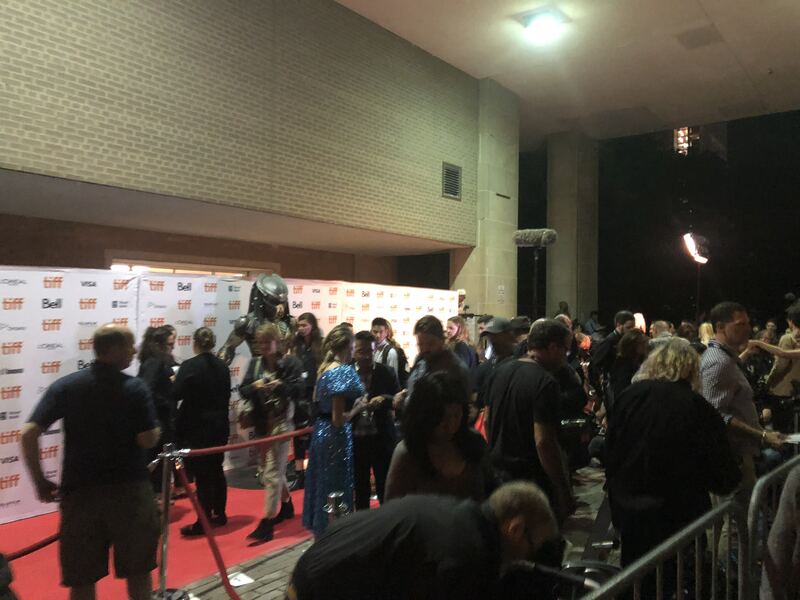 Check out the reporting from Hybrid Network or the official Predator Fan App for their coverage of that event. 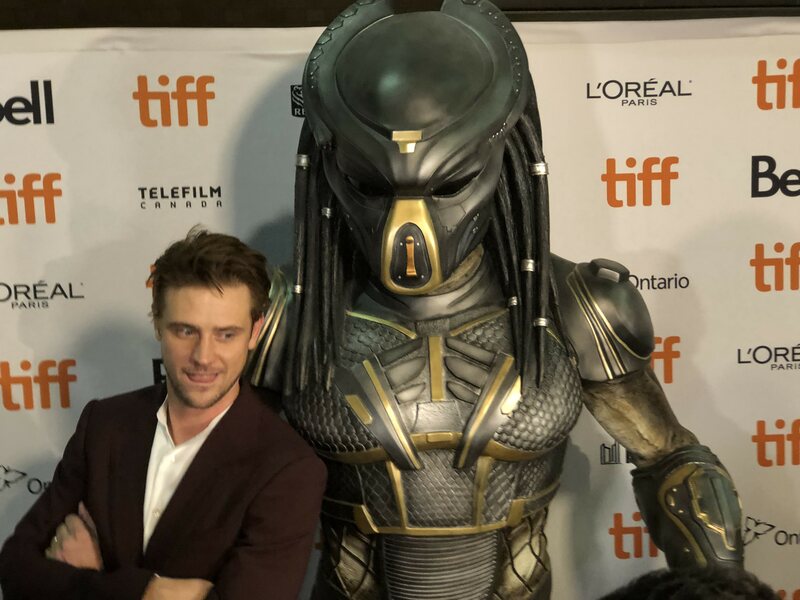 I put together a video complication of the premiere, so feel free to check it out below if you’re curious. 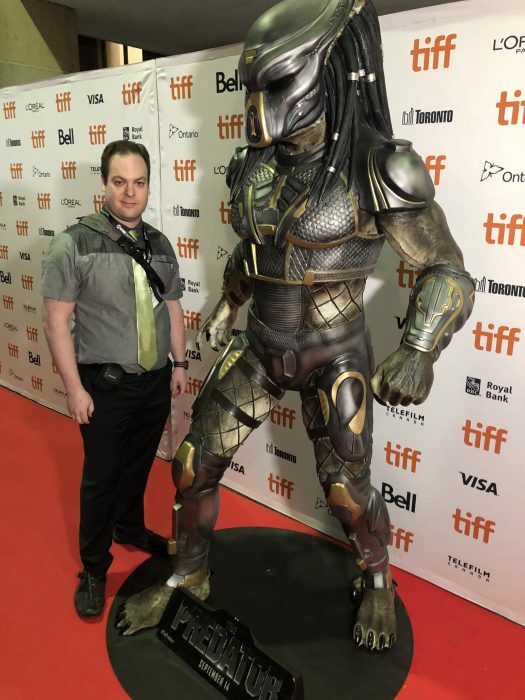 I was really glad to be able to experience a world premiere first hand and would like to personally give a massive thanks to Carol and Charlie from Fox, and our own Co-Administrator Aaron Percival for making this possible. From AvPGalaxy, this is RidgeTop, signing off.